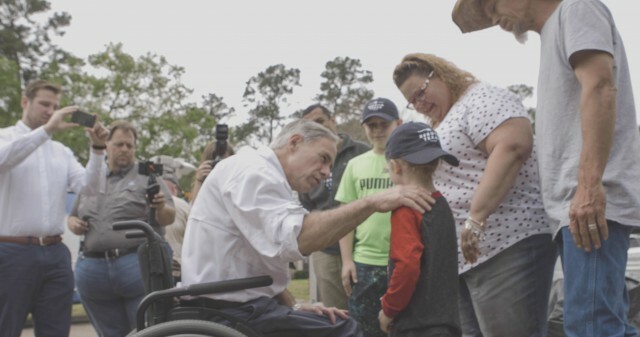 Governor Abbott visited Kingwood, where he took an aerial tour to survey damage along the San Jacinto River, and met with community leaders and elected officials to discuss Hurricane Harvey recovery and flood prevention efforts. During the meeting, the Governor announced new actions Texas will be taking to help prevent future flooding in communities like Kingwood. Governor Abbott met with U.S. Small Business Administration (SBA) Administrator Linda McMahon in Austin to discuss the important role small businesses play in Texas. Late applications for SBA disaster loans for physical losses from Hurricane Harvey are being accepted if substantial causes prevented an application from being submitted within the filing deadline. And the deadline to apply for SBA disaster loans for economic injury from Hurricane Harvey is May 25, 2018. Learn more. Reed Clay, chief operating officer for the Office of the Governor, testified before the U.S. House Homeland Security Committee on March 15 on lessons learned by the State of Texas in preparing for, responding to and the ongoing recovery from Hurricane Harvey. Watch video of the hearing. Per FEMA, survivors in need of disaster case management assistance should call 211. Survivors who have open cases with IDCM will continue to receive assistance from case managers after March 13. FEMA granted Governor Abbott’s request to extend the deadline for Transitional Sheltering Assistance (TSA) for some victims of Hurricane Harvey to April 23, 2018, with an eligibility review on April 2, 2018. Disaster victims with questions regarding their TSA program eligibility or status may contact the FEMA Helpline at 800-621-3362 for assistance. Student volunteers spent their spring breaks working on Hurricane Harvey-damaged homes: “Instead of carrying ice chests to the beach, they carried drywall to trash piles. Instead of sliding on their bathing suits, they opted for protective face masks. About 580 middle and high school students redefined the typical spring break by volunteering to fix up homes across Houston affected by Hurricane Harvey.” Read more.